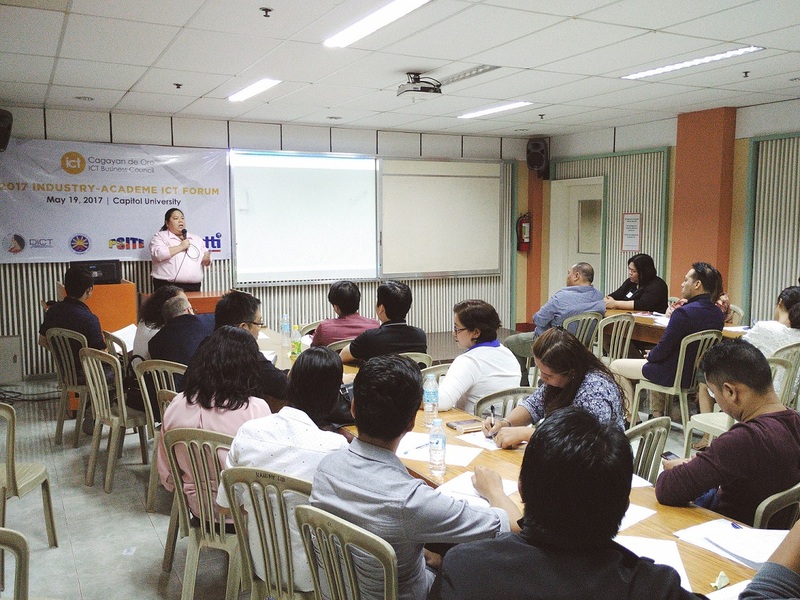 CDO ICT Business Council led an industry-academe forum on May 19, 2017 at Capitol University, with the support coming from DTI-MOR, CHED, TESDA and DICT. Several HEIs as far as Gingoog and Ozamiz cities participated the discussions on talent development and OJT programs. Industry firms are represented by IT-BPM and other IT-related companies such as Concentrix, ArribaTel, Redlemon Digital Media, Syntactics, Innovuze Solutions and Platypus Media Solutions.